A Back to School Tip, Freebie, and GIVEAWAY! 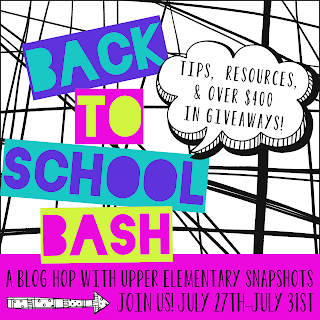 I am linking up with my 11 blogging buddies at Upper Elementary Snapshots to bring you some back to school tips, freebies, and a giveaway! We have a whole week's worth of Back-to-School promotions planned, so be sure to check out our blog! Then, at the beginning of, say, September, I take all of my September birthday certificates out of my drawer and set them on my desk where I can see them, and I refer to them as I am adding notes to my new September calendar display. I love having the certificates ready to hand out- I am never scrambling to write out a birthday certificate after the student has reminded me that it's their birthday. In fact, I usually set the certificate on the birthday student's desk or attach it to their locker so it's one of the first things they see in the morning when they arrive at school. 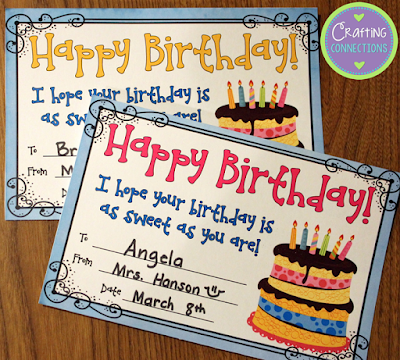 Also, students can receive their birthday certificates even when I have a substitute. 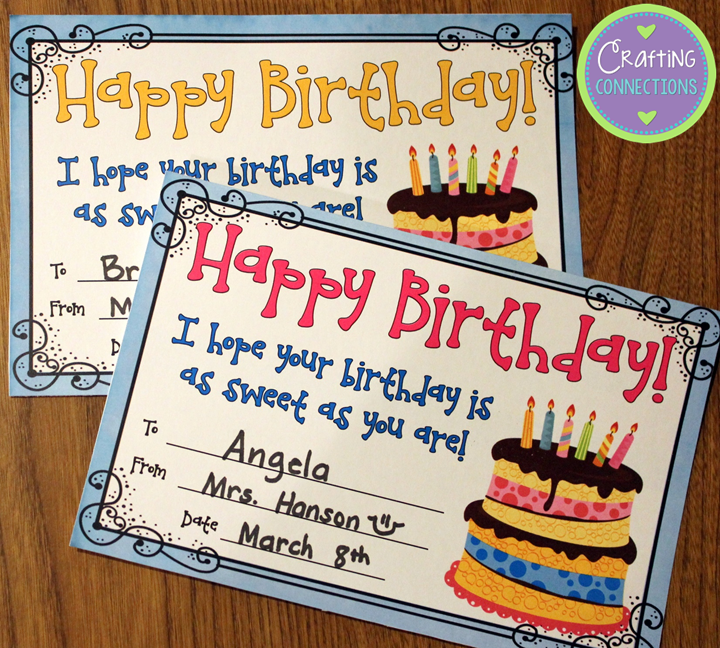 As for summer birthdays, I identify their half birthday when I go through my class list, and make a certificate for them, too. Having a daughter with a summer birthday, I know first-hand how much they want to celebrate their birthday during the school year, too. I found this annual routine to be helpful to me when I was a classroom teacher, but crucial for me to implement when I was an ESL teacher with 45 students on my caseload, if I had any hopes of not forgetting a student's birthday during the year! I am sharing a few freebies today. Click on the image to download my birthday certificates. I've also got another fun activity to suggest for the first week of school! Pair students up to read a partner play! I think it would be a great way to get your new classroom of students interacting, especially those new students, or even students who may be feeling a bit unsure because they don't have a particularly close friend in their class this year. 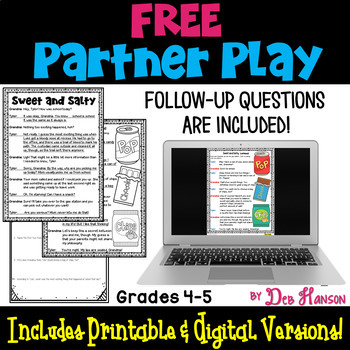 If you haven't ever tried partner plays in your classroom, I invite you to give them a try by downloading the following scripts to use during the first week of school! The Loose Tooth was written for 2nd and 3rd graders, while Sweet and Salty was written for 4th and 5th graders. Head to the blogs shown below to find some more great back-to-school tips! You are so organized! I might have to give this system a try this year. I am always scrambling at the last minute to have their birthday coupons ready (a night of no homework). BTW, love the pic of your student certificates. What a great name on the top one... lol! Great hop! I found lots of great products and ideas! All of y'all have great blogs that I follow and love! Just so you know, #2, #10, & #11 links are not working. Thanks for having the Back to School Bash! Thanks for the heads up, Cynthia! I believe all of the links are working now! :) Thanks for visiting! Love the Partner Play for upper grades! 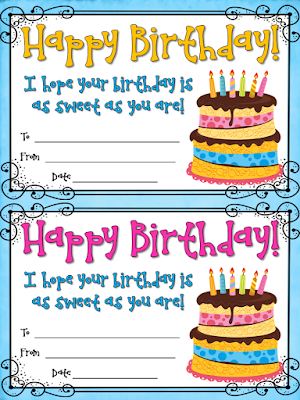 Very cute birthday certificates. Thanks, Deb!! Great idea! I am now an ESL teacher (last year was my first year-- I was a classroom upper grades teacher for a decade). This is a great idea for connecting with kids that may not get direct services!